"Blue Rocks" by Lydia Ho. “Friends told friends and people I had no relationship with at all started ordering,” chuckled Lydia, who is still somewhat surprised at the evolution of Hands in the Sand. 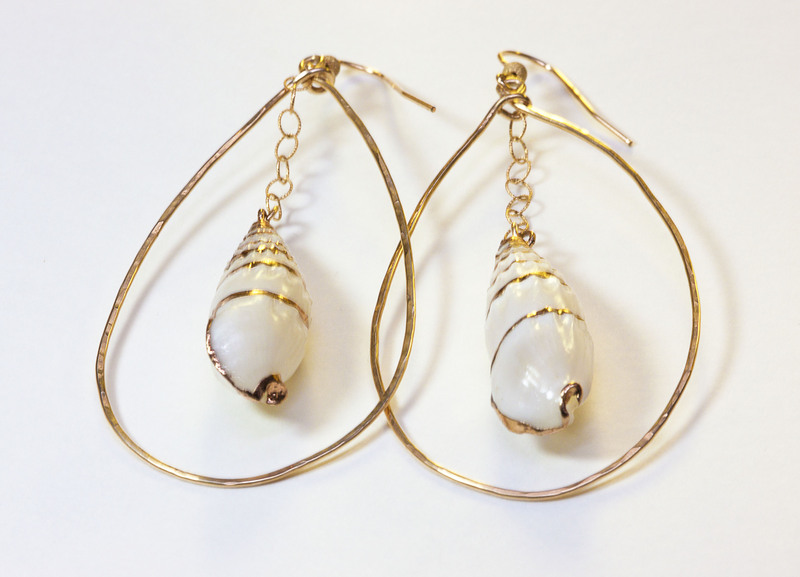 An accountant by profession, and married into the iconic Ho family (that is, the late Don Ho’s family), one of Lydia’s clients encouraged her to take her jewelry to Lo Kaimuloa, owner of Riches Kahala. Lo is well known and respected as a buyer who is willing to take a chance on new designers. A selection of Hands in the Sand pieces. Lydia said, “I didn’t have a line per se. I was very amateurish and I showed her the line and Lo and her manager said ‘Yes, we need that.’ We’ll take 12 of those and 12 of those and 12 of those…..and I’m, like, 12? Huh? Okay….and when did you need these by?” This was Wednesday and they wanted them by Friday so Lydia found herself launching a new business, big time. “I feverishly worked night and day,” she exclaimed. 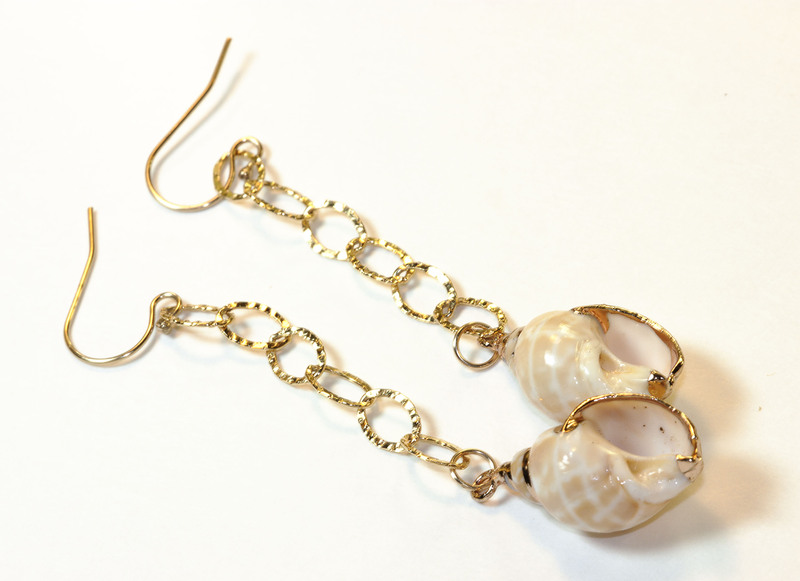 Lydia uses sterling silver and 14k gold fill with shells and pearls. 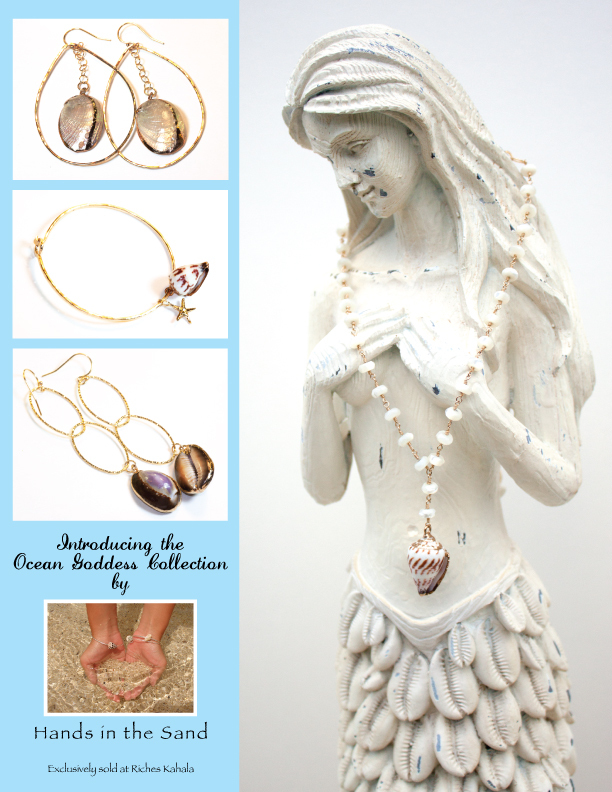 “One of my clients is a Tahitian pearl importer and I incorporated them (the pearls) for barter. 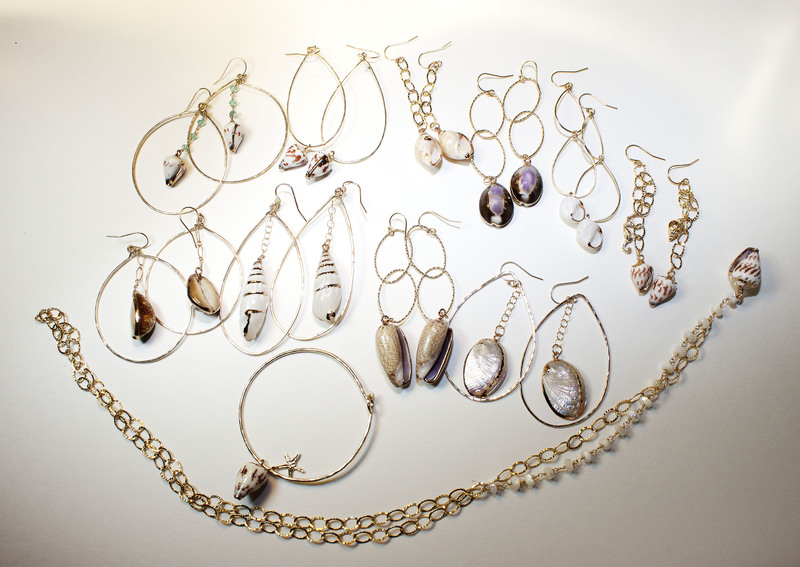 I also use semi-precious stones,” she explained. The business model of using barter seems to be catching on in these tough economic times. I often hear of fashion and accessories designers using barter, as well as farmers and cookie-makers. It’s gratifying to see that an accountant is comfortable with the practice, as I favor it myself. I sometimes barter paintings for something I’m passionate about. Hands in the Sand pieces are light and breezy with a touch of whimsy. 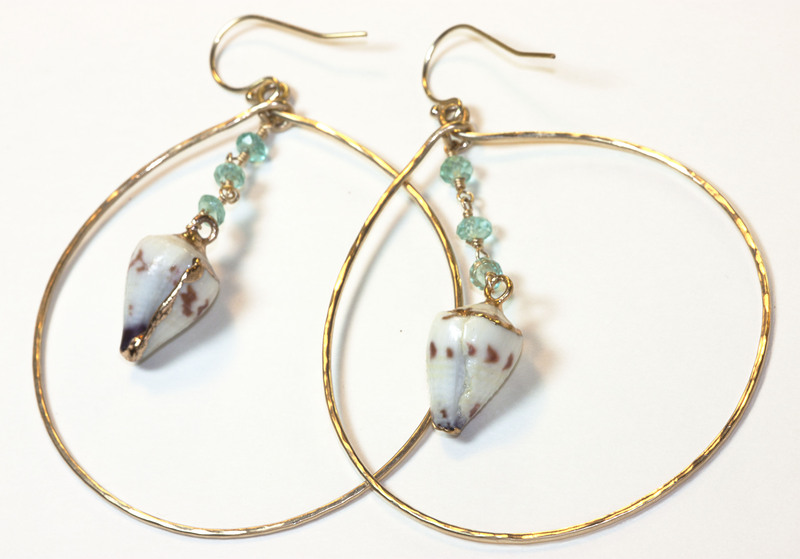 They can be dressed up for a dinner date or dressed down to go to the beach or with jeans. They have an air of femininity about them that is characteristic of Lydia herself. Hands in the Sand is available exclusively at Riches Kahala. Prices range from $60 – $120. Hands in the Sand's version of hoops. This entry was posted in On Our Radar and tagged Hands in the Sand, Lo Kaimuloa, Lydia Ho, Riches Kahala. Bookmark the permalink.